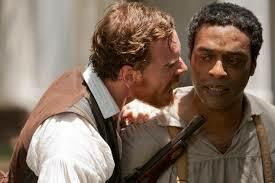 12 Years a Slave is sadly enough a true story, a story from pre-Civil war United States. 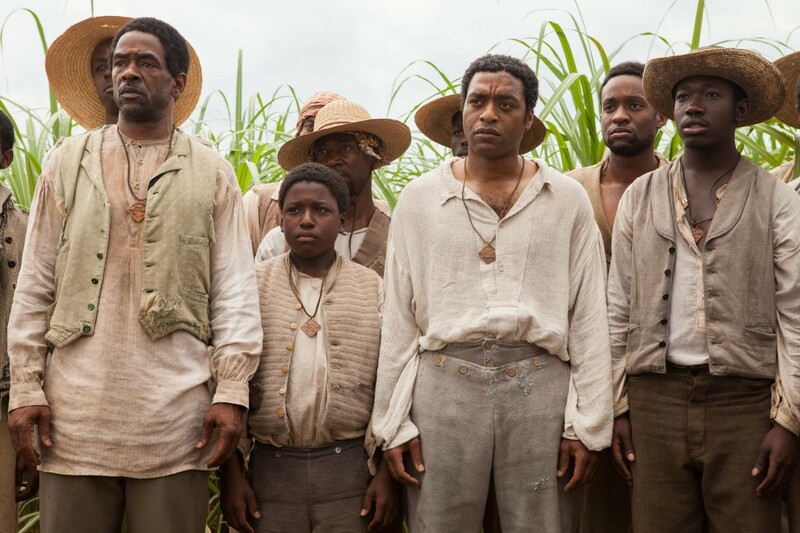 Solomon Northup (Chiwetel Ejiofor) is a free black man living in upstate New York, while his wife and 2 children are away he decides to take up an offer to play his violin at a function for two seemingly respectable gentleman… they pay his travel, they even join him, and after the function, they all enjoy a few drinks and a spot of abduction – Solomon’s abduction. Solomon Northup is abducted by the two men and sold into slavery, with no papers to prove his freedom, and quite frankly nobody who cares, he starts his heart wrenching nightmare which lasts for no less than 12 years…..
It’s pretty fair to say that from here on in Solomon gets a rough deal, although perhaps not as rough as others. He experiences cruelty or course but he does also experience the odd act of kindness, which must be like an oasis to him in the middle of this nightmare. Any story from this time and place is saddening, is it more saddening that a free man is forced into this situation? or is it worse for those who have absolutely no hope? That is not for me to say, although whatever the circumstances of their arrival to this depravity, there is no doubt that each individuals situation is no less sickening than another’s, you may be able to keep your head down better, but the bottom line is you merely exist, there is no living . Trapped, forced to work, often to the death, and not even seen as a human being but rather property that can be sold, abused or disposed of as the owner sees fit. The film manages to present the story in a truthful way, at times shocking and hard to watch, not needing to rely on the magic of cinema to tug at your heart strings, but instead lays the tale bare and slashes at your heart with the knowledge that the story is not only a true account, but was a true account for thousands of others, some who would never have lived to tell the tale at all. 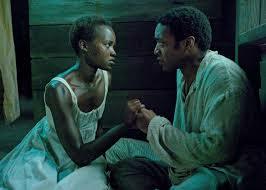 The acting is phenomenal with a special mention needed for Lupita Nyong’o who really steals the show as Patsey, portraying the emotion of her own unfortunate tale entwined with Solomon’s which we never find out the end to – but can only imagine it didn’t turn out with a happy ending. Solomon’s ending alone will make you shed a tear, even just for how apologetic HE is for the way his life turned out. Thank God for Bass (Brad Pitt) so that Solomon could have the chance to tell this unbelievable story. Whether people agree that this is the film of the year, it is certainly going to be one of the most important films of the year, and will unquestionably clean up at many awards in 2014. Rightly so, as this film has been shot not for entertainment, but for the means to tell a story, exactly how it was.